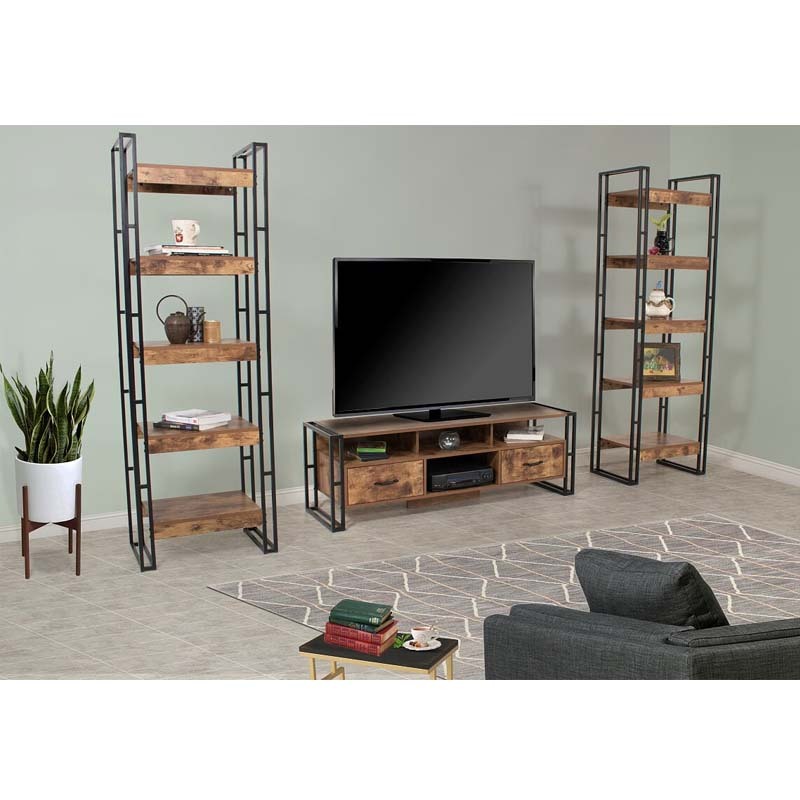 More on the Living Essentials Urban Line 5 Tier Accent Shelf (Rustic Wood) ULWRW0873 below. 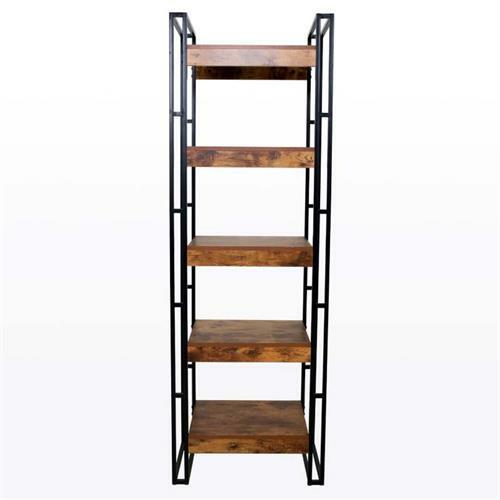 This contemporary 5-tier tower shelf will bring an atmosphere of urban chic to any room of your household including bedrooms, home offices, and living rooms. Its sleek profile will allow this piece to blend easily with any existing décor in your home. 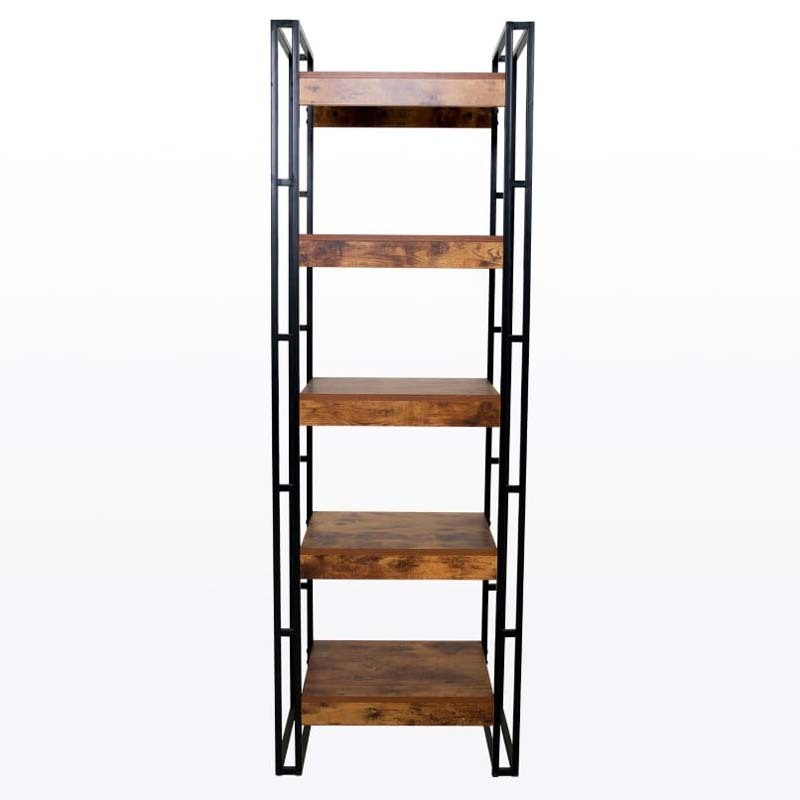 With five spacious tiers, this shelf will fully accommodate any of your storage or aesthetic needs. 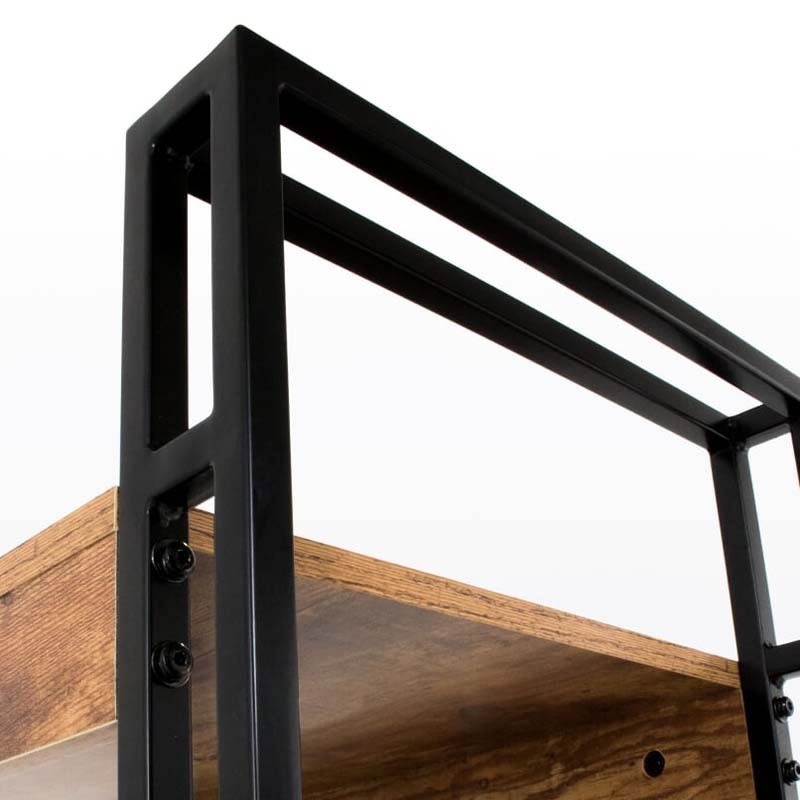 It's solid wood panel shelves and sturdy metal work framing are built to last. 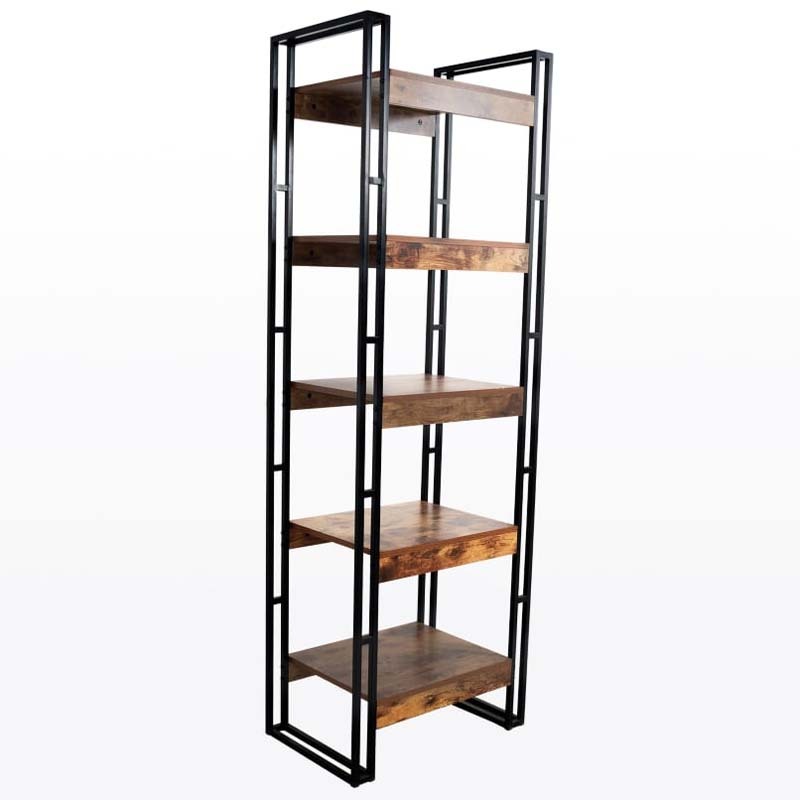 This tower shelving is the perfect mix between functionality for storage and moderness design which will be the optimal addition to any home. Additional matching pieces available in the Urban Line Collection, see related products below. Comes with Living Essentials 's 1 year limited manufacturer's warranty.